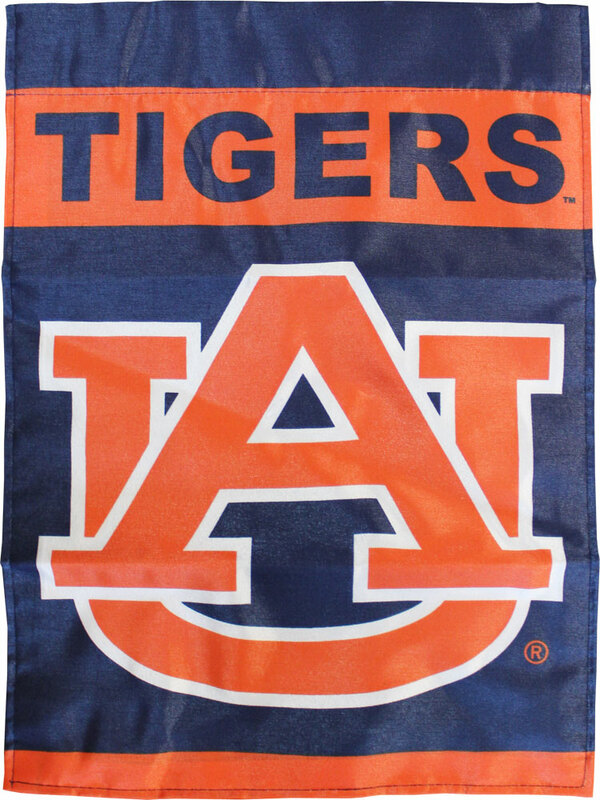 This full color 13"x18" Auburn garden banner is two sided and lined for clear visibility from both sides. Made of 150 denier polyester, this dyed banner is Officially Licensed and comes with a plastic pole and suction cup for window display. Garden Display Stand is sold separately.